The Secretary of State for Health and Social Care, Matt Hancock, has launched his prevention vision; confirming it as one of his key priorities alongside technology and workforce. PHE’s Chief Executive Duncan Selbie discusses why this is a transformative moment for public health. This new prevention vision from the Secretary of State is a seminal moment for the public’s health, one that PHE warmly welcomes. Good health underpins a healthy economy and for years we have known that prevention is better than cure. We need to help people to stay well and in work for longer, so they need the NHS less and later in life. And when people are unwell, we need to help them stay independent in their own home for longer, avoiding a move into hospital or the care sector. So we must seek a better balance between a system focused on detecting and treating illnesses, with one that also predicts and prevents poor health. 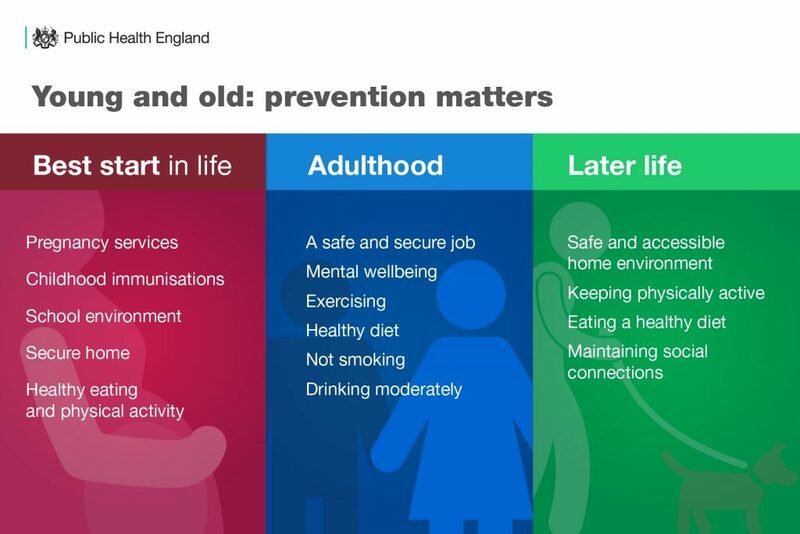 To achieve this we must ensure prevention is invested in by the NHS and through local government and by national policy, and that people themselves are encouraged to take charge of their own health. This need for a person-centred approach comes into sharper focus as our population ages and the number of people experiencing multiple long-term conditions inexorably increases. With affluent people enjoying 19 more years in good health than those who are poor, carrying on as before is not an option and good health in a modern, caring nation should not be income dependent. The Secretary of State’s vision recognises this and advocates the need for integration of services, highlighting particularly the critical role and contribution of local government working inseparably with their local NHS. This vision and the imminent NHS Long Term Plan give us an opportunity to move beyond the rhetoric and into tangible actions. Prevention boils down to helping people stay healthy, happy and independent for as long as possible. We need action to be taken by the NHS, by national government and by local government, all working in partnership with the voluntary and community sector and industry. We also need to empower people to take charge of their own health. Together we can ensure that our children have the best start in life and are ready to start school, that our young people are supported so they enter adulthood ready to start work, and that adults are able to secure and maintain a job and a home. 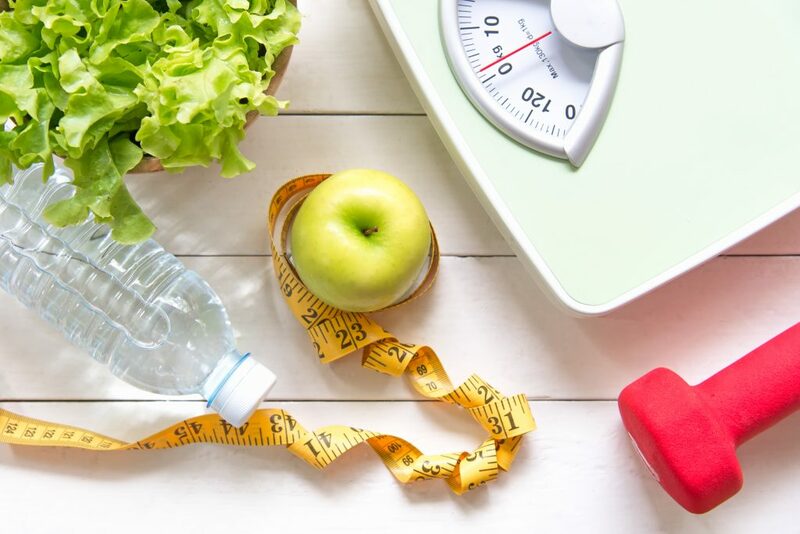 There are certainly barriers to making healthy choices and we need to make the easy choice the healthy choice so people can assume more control and responsibility for their own health. And our environment plays a huge role. Someone living in an area where smoking rates are higher may find it harder to quit, and someone living on a street with multiple fast food outlets may eat more junk food. Then there is an issue of cost and availability. There is a role and responsibility for the Government to play here and it is good to see the vision does not shy away from that. National and local government must also place prevention at the forefront of their policies. They must weave it into all of their plans and all of their policies, for everything from health and social care to town planning, housing and transport. With everyone pulling in the same direction, we can relieve pressure on stretched health and social care services. This will ultimately give us the best chance of creating sustainable conditions for good health and wellbeing across the country. This shift in focus is an exciting milestone and should signal a synchronised effort to place prevention at the heart of national and local government, and the NHS. Public Health England promotes breastfeeding as getting babies "Off to the Best Start" via "Start4Life" Campaign but this pressure on individual responsibilty is not working. Women are heeding this advice as 74% initiate breastfeeding at birth but recent figures show breastfeeding prevalence in England has decreased. Women don't need promotion & lectures on personal responsability to succeed. Take a leaf out of Scotland's books, & implement a strategy where public health & NHS Trusts commit to every hospital & every Health Visiting Team being UNICEF Baby Friendly accredited & then invest in quality & timely Infant Feeding Support in the community (45% of women stop in first 2 weeks after birth). Breastfeeding is a skill to be learned from a kind human not an ability one can pick up from a chatbot or App. Investment, strategy, tactics, training & evidence trumps personal pressure (masquerading as personal responsibility) any day. The life of a woman or baby could be saved for every 597 women who optimally breastfeed (Dr Bartick, Harvard). Health is an investment not a cost. This is music to our ears!! Our team of nurses are passionate to help people prevent conditions like diabetes, and cardiovascular disease; setting up a business to do just that! We know so much can be done, and we're keen to get our messages out there to communities and work places. Thinking differently about how and where health promotion initiatives are delivered is crucial. In our experience, providing workplace health and well being services have proven extremely successful, especially for the men out there who very rarely visit a GP. So its good to hear Matt Hancock recognising the important role employers have to play in the health and well being of any businesses' most valuable asset - the employees!! Will be eagerly watching this space to see how the plans are implemented! Of course we all agree with the aims but alot of these "doing things differently" strategies just mean opening up services to private enterprise. Better to have trusted advocates that can build quality relationships with people than software that "empowers" people to "make the changes they need to make". In our area Virgin healthcare run a walk in centre. The quality of care is not good and no one wants to work there. It's all run under the guise of being an NHS service but it functions like a profit making company and the two things aren't compatible. Prevention is a really appealing and lucrative market for AQP's (or whatever they are called this week) which should be a massive concern to more people but doesn't seem to be. It actually really worries me and I hope that there is still an NHS left at the end of this government's term. Praise God, this is great news. Better health for all and all working together for better health. God bless all. Health promotion is very relevant today. There is a global acceptance that health and social wellbeing are determined by many factors outside the health system which include socioeconomic conditions, patterns of consumption associated with food and communication, demographic patterns, learning environments, family patterns, the cultural and social fabric of societies; sociopolitical and economic changes, including commercialization and trade and global environmental change. In such a situation, health issues can be effectively addressed by adopting a holistic approach by empowering individuals and communities to take action for their health, fostering leadership for public health, promoting intersectoral action to build healthy public policies in all sectors and creating sustainable health systems. Although, not a new concept, health promotion received an impetus following Alma Ata declaration. Recently it has evolved through a series of international conferences, with the first conference in Canada producing the famous Ottawa charter. Efforts at promoting health encompassing actions at individual and community levels, health system strengthening and multi sectoral partnership can be directed at specific health conditions. It should also include settings based approach to promote health in specific settings such as schools, hospitals, workplaces, residential areas etc. Health promotion needs to be built into all the policies and if utilized efficiently will lead to positive health outcomes. Really there is nothing knew here - we all know what is needed and we all have the passion and the will to drive this forward. What health improvement needs is investment on a financial level and a real, honest commitment to driving change. There are too many mixed messages about what people should and shouldn't do which leads to confusion and eventually people just 'give up' listening. We need to work together as one unit (NHS, local gov, national gov) to deliver consistent campaigns and to enable people to feel empowered and to ultimately WANT to change. I'm looking forward to seeing the nex steps and how i can be a part of it. Let's face it, there is nothing new here. We all know what needs to be done and we all have the drive to achieve it. What Health Improvement requires is real financial investment and a long term commitment to making change. People have to feel empowered that they can make changes and feel that they can be successful in what they do, and better off for it. Currently there are too many mixed messages and in the end people will just 'give up' and stop listening. We have to work together as one unit (NHS, local Gov, National Gov) to bring about change in a positive, sustainable format. Let's just move forward and do it! Sorry but this is not rocket science or anything new ! I have worked in the NHS for over 40 yrs, so have been around when Health Promotion was key in prevention and there were national and local Health Promotion funded initiatives that worked until the savage funding cuts appeared! School nursing services continue to be axed at an alarming rate and even if areas have a school nurse service, unless prevention is included in CCG directed service targets then it will not be done! Birmingham is the largest local authority in Europe and has had its school nursing budget recently cut by 50% ! Matt Hancock needs to address health needs of our children, with more investment and direction to CCG's. A community asset approach is key, Public Health is everyone's responsibility. The health on the High Street initiative from Royal Society of Public Health is key to achieving healthy communities. We must also ensure consideration is given to hard to reach groups. Interesting. How did PHE contribute to the development of this transformative vision? I would love to help promote healthy eating education in schools and hospitals .I have made a 5-A-Day fruit bowl for children with simple cheerful graphics.This is especially effective for visual learners. I would be glad to show the product line . Yeah Kate, Kids should be trained with a healthy eating habit from their school time itself.